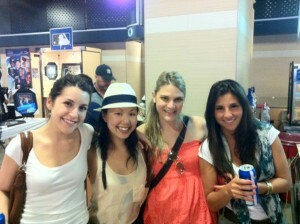 Last night the gang headed out to take in a Jays game. 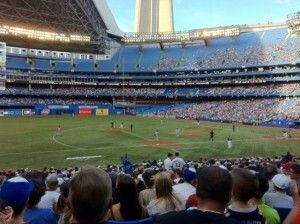 It was a spirited contest, with the Jays winning 16-7. 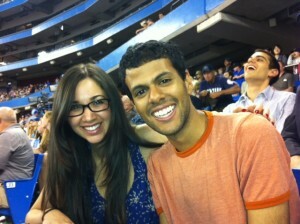 Even baseball insider Chris Selby (also a summer student when he’s not being a baseball insider) was impressed. Check out the photos below for a glimpse into our evening. Enjoy! 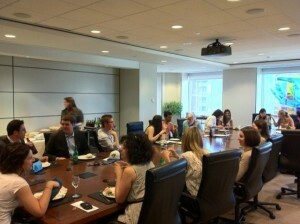 Warm-up: Enjoying a "sporty" dinner in the boardroom. 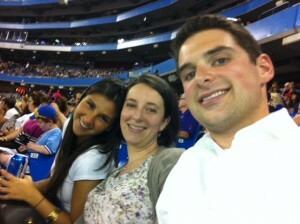 Taking in the match. Go Jays! 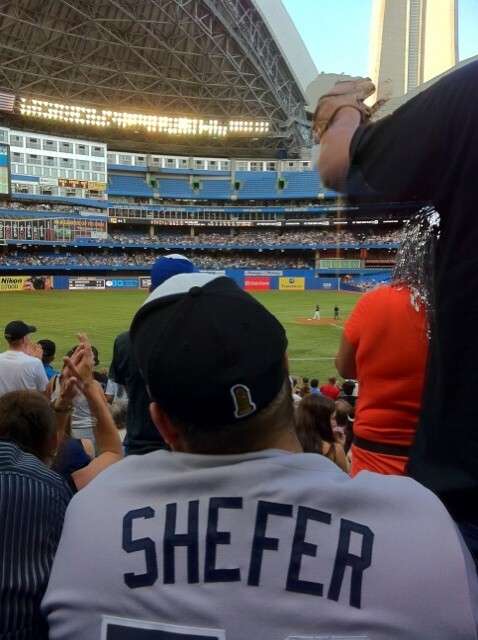 A Yankees fan cringes as the Jays score ANOTHER run. Take that, "Shefer"! 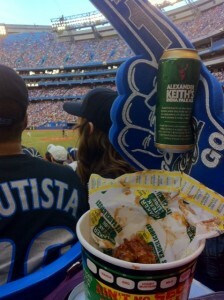 Tall boy, foam hand, bucket-o-wings. 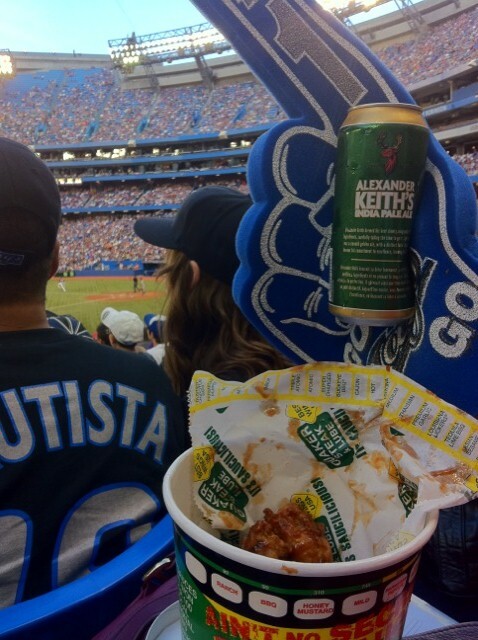 This associate (who refused to be pictured) claimed this was "the only way to truly enjoy a Jays game". 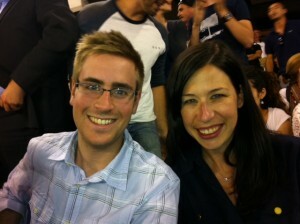 This picture and below: the photogenic, friendly folks of CBB. 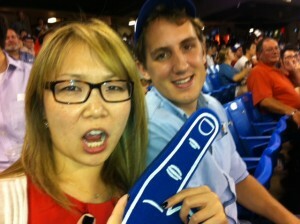 Your blogger with "Superfan" Angela Chu. What is this, a Crest White Strips ad? Enough already! Also: prize for best comment as to what JB is laughing at. Ahh, the memories. 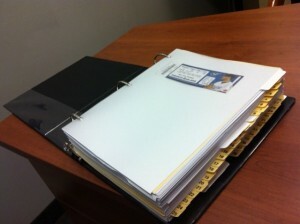 Beautifully scrapbooked, CBB style - at the front of a 38-tab closing book.